Hawaii's volcanic origins are evident in dramatic underwater topographies that include lava tubes and domes, submerged arches and pinnacles—all washed in clear Pacific water that allows divers to take in the big picture. Fish watchers can tally up to 200 species of reef fish found nowhere else, plus larger favorites such as turtles, spinner dolphins, manta rays, monk seals and the occasional shark. Out in the blue water, humpback whales make season visits. With many dive sites close to shore or a comfortable boat ride from the port, there's ample time to enjoy all the attractions and activities of America's Pacific paradise. Dive sites on the major islands are located on western shores, which are sheltered by tall mountains that block trade winds. Clear waters come close to shore, and many dive sites focus on formations such as arches, caverns and dome-like formations, while coral-encrusted ledges and boulders add interest and color. Sites with more extensive coral cover are home to a variety of endemic tropical fish and reef dwellers, while the frequent proximity to blue water results in visits from larger animals such as rays, sharks, turtles and dolphin. Most sites are free of currents, and water temperatures have moderate seasonal variation between 78 and 82 degrees. The clear, light-filled waters and dramatic seascapes of Hawaii provide ideal conditions to try underwater photography. A simple point and shoot camera with a medium lens can be used to frame a dive buddy against a rock formation or swim-through arch, while a close-up kit will add chances to document small reef dwellers. The inner reefs and the outer wall of Molokini Crater are among Hawaii's most popular dives, while Cathedrals 1 and 2 on nearby Molokai are among the most dramatic. Oahu provides a trio of shipwrecks, while Kona's lava tubes and rock arches combine memorable seascapes with calm conditions. Divers exploring the reefs of Kealakekua Bay are often treated to swim-bys from spinner dolphin, while Maui's Five Caves and Black Rock are sure bets for sea turtles, plus a good chance for white tip shark sightings. A 3mm wetsuit is adequate for most, and a rimmed hat and cover up is a good choice for sun protection during surface intervals. Shore dives may require harder-soled boots to negotiate rocks. A dive light will bring out the details in lava tubes, crevices and domes. Surface markers provide insurance against possible separation from the boat. KONA, BIG ISLAND - CARADONNA RECOMMENDS includes 7 night accommodations (+$145 pp for oceanview), Manta snorkel trip (M, W, Th, F snorkel trip), hotel tax and service charges. Valid 4/21/19-10/3/19 & 10/14/19-12/19/19. KONA, BIG ISLAND - ALOHA SPECIAL RATES includes 7 night accommodations (+$145 pp for oceanview), 4 days 2-tank boat dives, 1 2-tank Manta Dive, hotel tax and service charges. Valid 4/21/19-10/3/19 & 10/14/19-12/19/19. MAUI, HAWAII - SPECIAL RATES ON PARTIAL OCEAN VIEW includes 7 night Partial Ocean View accommodations, 5 days of 2-tank boat dives, free WiFi, hotel tax and service charges. Valid 4/1/19-5/30/19 & 8/18/19-12/19/19. Book by 4/30/19. 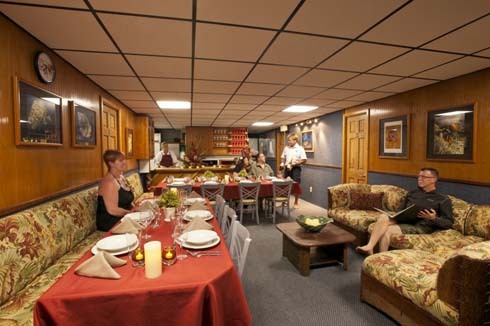 DIVE THE WORLD WEEKS - 25% OFF - includes 7 nights Deluxe Stateroom cabin accommodations, up to 4 dives per day, breakfast, lunch and dinner daily, snacks and beverages including local beer and wine. Valid 3/16/19, 5/4/19, 12/14/19 based on availability at time of booking. 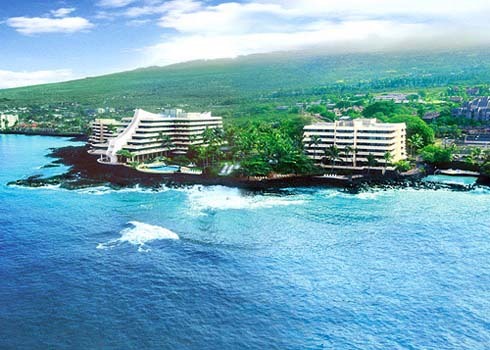 KONA, BIG ISLAND - BUILD YOUR OWN PACKAGE includes 7 night accommodations, hotel tax and service charges. Options to add-on Snorkeling adventures with Mantas. KAANAPALI, MAUI - The Royal Lahaina Resort enjoys a world-class location on Maui, which for two decades has been honored by Conde Nast Traveler as one of the "Best Islands in the World." 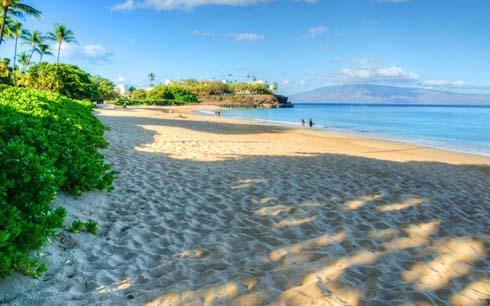 The resort is set on 27 acres of tropical gardens fronting the best and most exclusive stretch of Kaanapali Beach, which has been voted "America's Best Beach" and is consistently rated as one of the most beautiful beaches in the world. KONA, BIG ISLAND - Recently remodeled and spacious guest rooms are as expansive as the ocean and mountain skylines they showcase. At the heart of the resort is the Alii Tower, which is home to the open-air lobby and Don the Beachcomber Restaurant. The Lagoon Tower overlooks the private beach and saltwater lagoon.To the north is the Bay Tower in which the massage and spa center is located. Diving services are available from PADI 5-Star Jack's Diving Locker, just a short stroll away in downtown Kailua Kona. The 80-foot catamaran-style Kona Aggressor II offers a week of hassle-free diving along the western coast of the Big Island of Hawaii for up to 14 passengers. Favorite dive sites like Paradise Pinnacle, Tubestria Tunnel, The Hive, Turtle Pinnacle and Rob's Reef are visited, along with the famous Manta Night Dive at Garden Eel Cove. The yacht ventures far from the reach of day operators to beautiful South Point, the southernmost tip of Hawaii and the Unites States, weather permitting. With lava flows in the background, divers suit up for a week of spectacular diving. Excellent snorkeling is available for non-diving passengers. When molten lava meets the cooling waters of the Pacific, things can get violent. Volcanic flows are frozen into domes, pillars and finger-like ridges, while conduits of liquid rock empty to become cave-like lava tubes. This is how volcanic islands form and evidence of the Hawaiian Island's fiery rise from the depths can be seen along the coastlines. Older islands such as Kauai and Oahu have the luxury of time to cultivate more extensive coral barriers, while younger Lanai and the still-building Big Island are surrounded by sharp relief formations that offer swim-throughs, grottoes and arches. Water conditions are not favorable to soft coral growth, but hard corals thrive from the surface to depths well below 100 feet. Surf zones and shallows are often dominated by cauliflower, lace and antler corals. Larger lobe corals take over as depths increase and are also joined by the more fragile finger corals. A common sighting on reefs is the peacock grouper that hover at cleaning stations, and the moray eels that peer out from cover. Squirrelfish and black bar soldierfish hide beneath ledges, and sand valleys between coral heads are alive with garden eels and peacock flounder. As depths increase, schools of bicolor and longfin anthias join the show, and there's usually a chance to find white tip sharks nosing into crevices in search of a meal. There is always a chance to catch a glimpse of larger sharks such as hammerheads, tigers and gray reefs passing by in the distance, but far better odds of running into sea turtles or the pods of spinner dolphins that frequent calm bays. One of the most dramatic big animal encounters takes place at night on the Kona Coast, when manta rays gather to feed on tiny creatures revealed by the glow of a hotel pier's underwater lighting. The cave-like formations known as lava tubes are diver favorites, and two of the most famous are found on the shores of Lanai. Cathedrals One and Two are submerged tunnels with chambers more than two stories high, with perforated ceilings that usher in radiant beams of sunlight. Another unique lava tube is Maui's Bubble Cave, which begins in shallow water, and leads to a partially air-filled chamber that seems to breathe with the rising and falling swell. More common are the dome-shaped lava formations the size of houses, and the numerous arches formed by the erosion of lava pillars. At sites such as Turtle Town, divers can pause to watch the show as green turtles come in for a cleaning, with yellow tangs, damsels and wrasses flitting about as they pick parasites from shells and flippers. Near-shore ledges such as Black Rock and Five Caves provide lively night dives. Diver's lights reveal prowling invertebrates. Lobster and crabs scurry about while octopus and eels slither stealthily through the shadows. A less-expected night dive takes place offshore of Kona, where divers tethered below the boat drift in darkness, using their dive lights to spot an enigmatic nocturnal creature that rises from the depths. Oahu offers the best collection of wrecks, which includes three substantial vessels—the YO-357, Sand Tiger and Mahi—plus several smaller boats and a number of ditched aircraft. Maui is the starting point for dives to Molokini Crater and the caverns and canyons of south Molokai. The coral channels of Kauai's north shore reefs are best dove in calmer summer months, and this is also the season for day trips to remote Niihau island for gigantic sea arches, big fish and perhaps a swim with monk seals. Kona offers the broadest range of diving adventures, from calm, coral-studded bays to caverns and deep drop offs, with most sites less than a mile from shore, and in the calmest water in Hawaii. Hawaii entry requirements are the same for all U.S. States. Hawaii has an extremely strict quarantine control,with Hawaii Department of Agriculture, forbidding the importation of all plants and animals into the State from the Mainland or anywhere else in the world. There are no immunizations required to travel to Hawaii. The Hawaiian Islands occupy a special place in America's cultural consciousness. This is the land of the honeymoon and the luau, where waving palms and undulating hula dancers entice visitors to succumb to tropical languor. It is also the realm of water sports, where rolling surf tempts thrill seekers to ride the waves or harness the trade winds with sail or kite. Reminders of Polynesian heritage permeate all aspects of life, but so do traditions brought from the East and from mainland America. The result is a destination that is reassuringly familiar, but with just enough touch of the exotic to remind visitors that they are far from home. Island shores and peaks create a playground for active sports. Surfing, hang gliding, kiteboarding, windsurfing, camping, snorkeling, biking, hiking, golf, tennis—it's all here, and available year round. Some of the world's finest beach resorts pamper with spas and fine dining, but beach culture lives on at tin-roofed cafes where Spam musubi is on the menu and slack key plays on the jukebox. Hawaii, like the U.S. mainland and Canada, uses 110-120 volts (60 cycles). The area code for the entire state is 808. For long distance calls between the islands, dial 1-808 and then the number. When placing calls to the mainland from Hawaii, dial 1, the area code and the number. All calls within an island are local. Most hotels and businesses offer WiFi. Many U.S. cell phone providers have no extra charge for text, data and phone usage from Hawaii, but be sure to check with your carrier. It is safe to drink the tap water in Hawaii. There is a board of water supply in Hawaii that regulates water quality, which is very pure, as it filters through underground porous volcanic rock free from airborne bacteria. Hawaii is the only state in America to have 2 official languages, English and Hawaiian. The melodious Hawaiian language is a Polynesian dialect. The US Dollar is the official currency. Hawaii observes Hawaii-Aleutian Standard Time or HST. The Hawaiian Islands do not observe daylight savings time and are 10 hours behind Greenwich Mean Time (-10 GMT). Hawaii is east of the International Date Line, putting it on the same day as the U.S. mainland and Canada. The Hawaiian Islands are comprised of 8 main islands including Oahu, Maui, Kauai, Molokai, Lanai, Niihau and Kahoolawe. Hawaii is the most remote island chain in the world. It is located in the Central Pacific Ocean, 2,100 miles from mainland U.S. and 3,850 miles from Japan, with 750 miles of coastline. Formerly known as the Sandwich Islands, the Hawaiian archipelago spans the distance of 1,523 miles from the Big Island of Hawaii in the southeast to the Kure Atoll in the northwest. This makes Hawaii the world’s longest island chain. The Hawaiian Islands cover 6,423 square of land. The Aloha State is the 43rd largest of the 50 states in the USA. The Big Island of Hawaii covers 4,028 square miles, just about double the land mass of all the other main islands combined. Other island sizes include - Maui: 772 square miles / Oahu: 598 square miles / Kauai: 553 square miles. The population of Hawaii is 1.43 Million (2015).